Last year, I put together a post with all of the best Black Friday deals and it got such a great response that I’m doing it all again this year. I’ve scoured the internet finding out where all of the biggest Black Friday weekend discounts are and any voucher codes that you can use to get even more money off your purchases. Each retailer is linked below along with the applicable discount and the country codes where the sale applies (UK= United Kingdom, JP=Japan, etc). If you’re looking to invest in designer fashion then now is the time as theres some AMAZING discounts this year. Electricals, as ALWAYS are fantastic and i’ve linked directly to some of my favourites below. This year, I’m buying homeware as I’m due to buy a house next year and need to get stocked up on the essentials. I’m looking to buy quality and so I’ve treated myself to a Le Creuset 5 Piece Starter Set which was an absolute STEAL at £99 down from £218. My aunty had hers from when she got married 35 years ago so they certainly last and are worth the investment. Harrods: HUGE DISCOUNTS ON LUXURY! Charlotte Tilbury: EXCLUSIVE deals this weekend! Feel Unique: different deals EVERYDAY! Hush: 25% OFF selected styles plus extra treats daily! Whatever you buy this Black Friday and Cyber Monday, make sure its what you really want. Don’t waste money just because something is cheap. Go in with a clear mind of what you’re looking for and try to get it at the best price. If you need any guidance, check out my top 10 tips on how to be a savvy shopper. I can't believe how many discounts are are this year I definitely need that white company candle in my life. These look like some really good discounts for black friday. I really like the candle and the depart store coffee maker, wish I had room for one myself! What a brilliant post. It's so hard to find where the best sales are at this time of year, so fantastic to get a round-up. 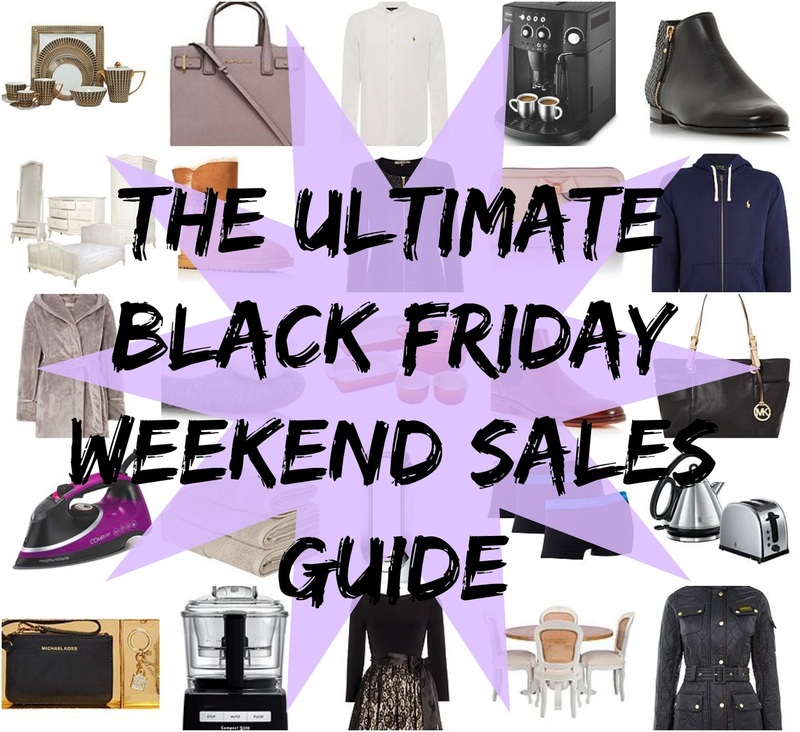 Awesome black friday guide!! Wish I'd been paid by then! I got some more Christmas presents with Black Friday savings so was pretty happy. All product are amazing I like most the jeans which you share in your blog.The Tank Tops For Women you provide at low price its good news for all. There are so many great bargains out there. They're still going on too. ooooo I saw this a bit late- gonna see if any of the deals are still applicable now! Wow I can't believe you have rounded that up so well – amazing amazing offers!